I appreciate the notification on the bg trail about the upcoming closure. I was surprised that the big signs alerting me and other riders the the schedule closure, did not offer even one suggested alternate route. Did I miss this important piece of information ANYWHERE? I can’t even find one suggestion on any of the sites the alert riders to the closure. Not the King County Parks site or any other. Please share at least one suggested alternate route. If you have to legally caveat it with “suggestion only, ride at your own risk”, fine, but car traffic are offered a suggested detour routes, What about the cyclists? Thanks for your upcoming thoughtful reply. Good morning, Jill. 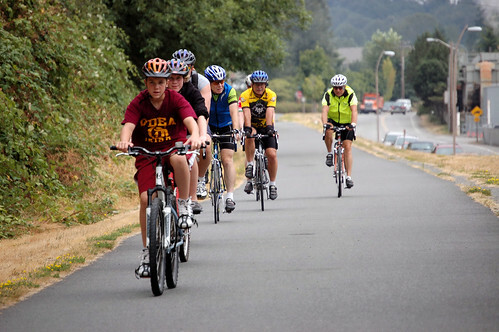 King County has been working for several months with Burke-Gilman Trail stakeholders to provide an alternate route around the construction zone. This particular stretch of the Burke-Gilman Trail is in an extremely narrow right-of-way corridor. 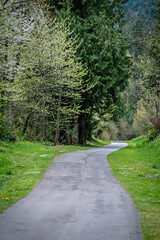 We’re dealing with virtually non-stop private property on either side of the trail, plus Lake Washington, State Route 522 and steep terrain, too. We hope to have a possible alternate route identified soon. The trail closure is to take effect when construction begins in mid- to late April, and we will post alternate route information plus construction updates and all other relevant news to all our media outlets, including our social media. If you would like up-to-date information and alerts you can follow us on Twitter, Facebook or here on the plog. We know that this construction project is going to be a hassle for trail users, but we also know that the safety improvements we’re making to this section of the Burke Gilman Trail will benefit trail users for decades to come.